A car bomb blast in the East Beirut neighborhood of Ashrafieh killed at least eight people and wounded fifty others, security sources said on Friday October 19, 2012. The explosion, which took place at the busy Sassine Square, where the office of the anti-Assad Christian Kataeb Party is located, struck around 3 p.m damaged buildings and shattered windows over a radius of several blocks. The incident occurred at a time of heightened tension between Lebanese factions and political parties on opposite sides of the Syria conflict. It is the first bombing in the Lebanese capital since 2008. Calmness prevailed around the Lebanese Cabinet headquarters on Sunday, October 21, after angry protestors attempted to break into the building demanding government resignation. Security men dispersed the protestors using teargas shots. The public rage was a reaction to the assassination of intelligence chief Wissam al-Hassan through a car bomb explosion, which killed seven others and injured over a hundred. The Cabinet building was surrounded by tight security cordon and barded wires. Several were injured in the clashes but calmness eventually returned to the cabinet area, although protestors remained until the evening. Security men and protestors were separated by security barriers in an atmosphere of cautious calmness. A grand ceremony was held on Sunday, October 21, in Beirut for the burial of Lebanese intelligence chief Wissam al-Hassan, who was killed in a car bomb explosion in Beirut’s Ashrafiyeh neighborhood along with seven others and upwards of a hundred of injured. Angry civilians attended the funeral procession carrying banners and posters of Hezbollah Secretary-General Hassan Nasrallah and Prime Minister Najib Mikati who many believe are responsible for the assassination. Al-Hassan was buried next to late PM Rafik al-Hariri who was similarly assassinated in 2005. The massive congregation turned into a protest calling for immediate government resignation. Mikati showed readiness to resign after the bombing but President Michel Suleiman convinced him not to at such a critical time. 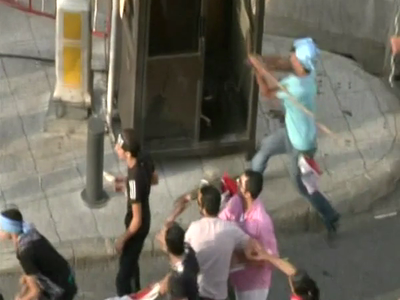 After the funeral, clashes erupted between security men and angry protestors who raised banners of the Syrian opposition group Future Movement, while others and tried to break into the Cabinet headquarters in Beirut. Security forces tried to disperse the protestors by firing teargas canisters, and other means, which led to several injuries. 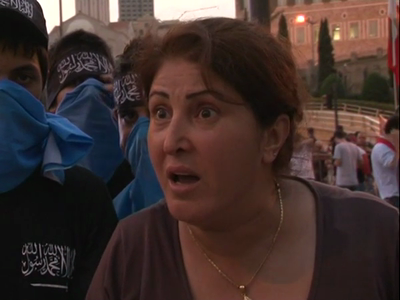 Analysts warn against a spark of civil war in Lebanon which is already undergoing political turmoil. 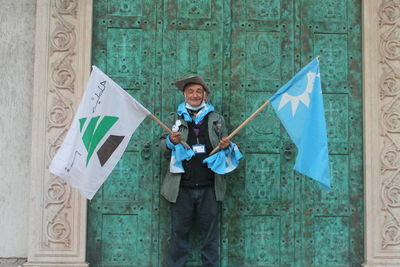 A Lebanese man holds the flags of the Al-Kataeb party and the Future Movement. 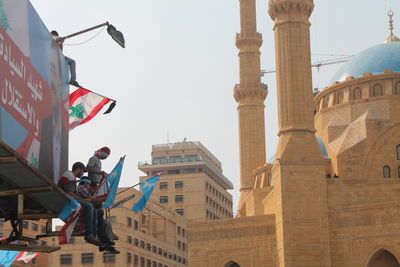 Lebanese protesters sit atop a billboard in Martyrs Square during a protest following the death of intelligence chief Wissam Hassan. 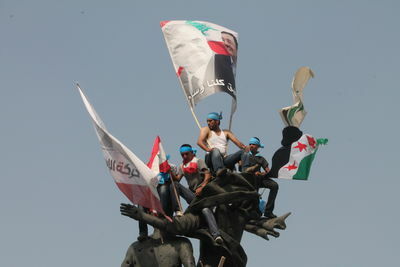 Lebanese youths sit atop a statue in Martyrs Square during protests against the assassination of Intelligence chief Wissam Hassan. 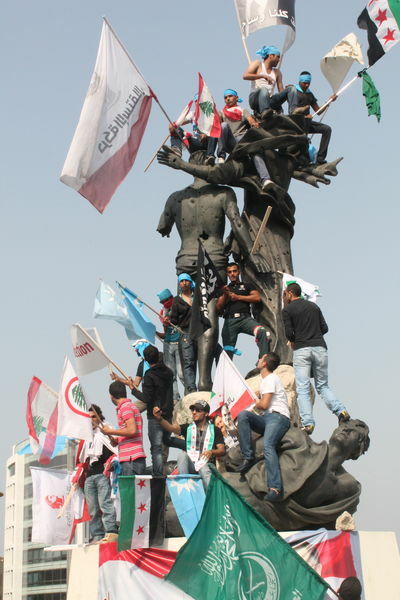 Lebanese youth climb the statue in Martyrs Square during Anti-Syrian protests. 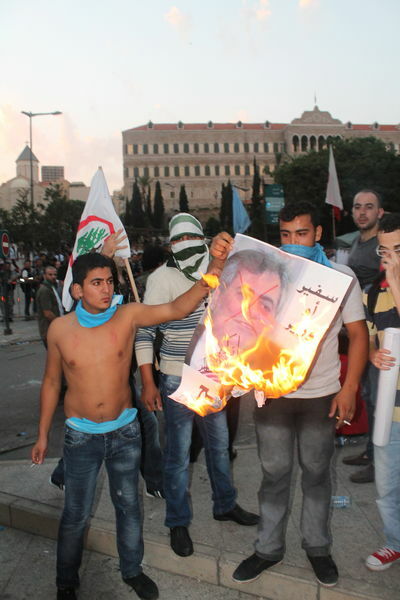 Protestors in Martyrs Square burn a picture of Ali Abdelkarim Ali Syrian ambassador to Lebanon. 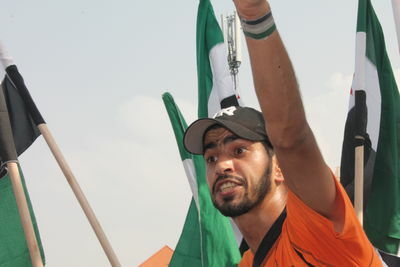 Exiled Syrian Activist Burhan Mousa Agha leads Anti-Assad Syrian Protesters in Martyrs Square.